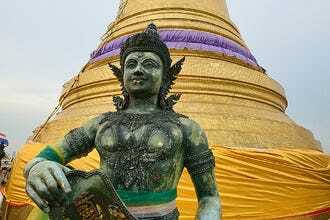 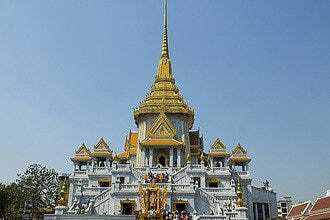 The Golden Mount, also known as Wat Saket, which is the name of the temple located at the site, is a small hill which gives great views over Bangkok and is reached via a 300 step winding staircase. 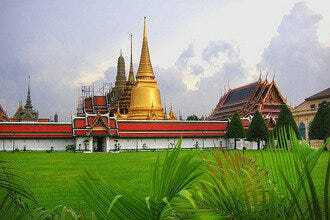 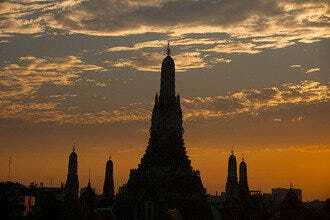 There is a golden chedi at the top, and views to Wat Arun are excellent. The Golden Mount is also the site of a large temple fair every year in November during the Loy Kratong holiday, when thousands of locals pack the Wat Saket grounds and carry candles up to the top to make merit and pay homage to a Buddha relic that is enshrined here. 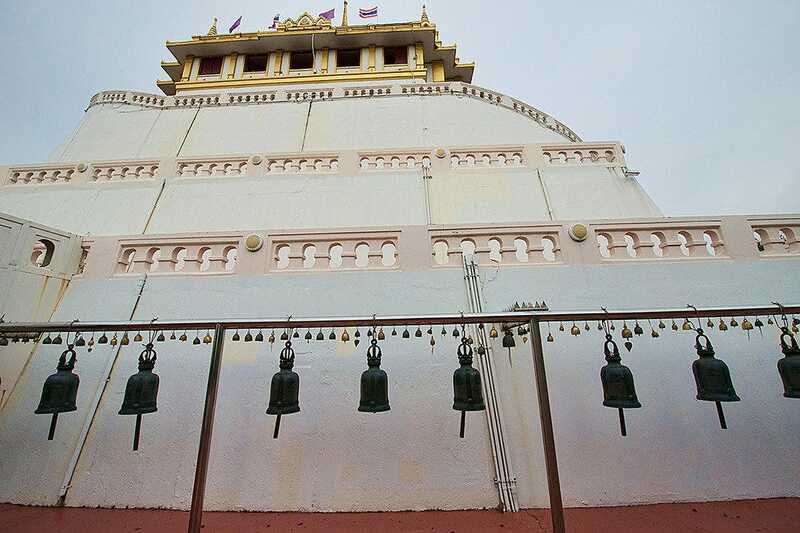 There are giant golden Buddha statues, beautiful bells, and large gongs found en route to the top of the temple. 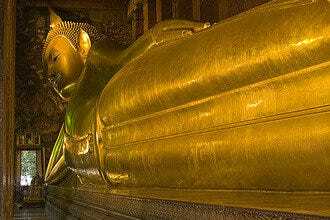 The Golden Mount isn't as popular as many other tourist sites in Bangkok, but is well worth a trip for its views and fresh breezes overlooking the city.